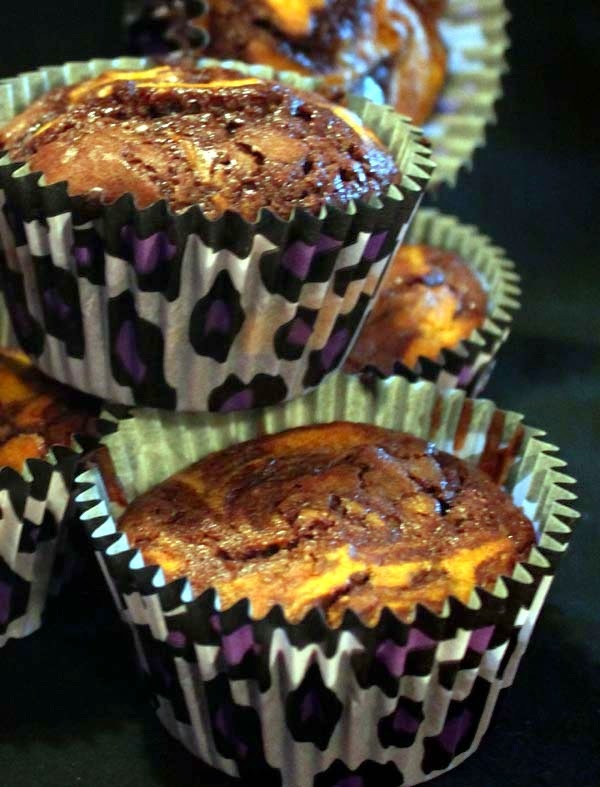 Treats and desserts with pumpkin are fantastic for fall seasons. Here's a great recipe mixing pumpkin with any brownie mix, be it homemade from scratch or store-bought. The recipe below is for store-bought or ready-made brownie mix of any brand. You pick the best one for you. In a medium mixing bowl beat, cream cheese and butter with an electric mixer on medium to high speed for 30 seconds. Add sugar. Beat until well combined, scraping sides of bowl occasionally. Beat in egg, canned pumpkin, vanilla, cinnamon, and ground ginger until well combined. Stir in flour. Set aside. Prepare brownie mix according to instructions and pour into cupcake tins. If you're using a muffin pan, fill to 1/2 full. Drop spoonfuls of pumpkin mixture into brownie batter, marble and swirl the filling and brownie mix together using a toothpick or a fork. For the health nuts and fitness dieters, using canned pumpkin, at least according to Jillian Michael's website, is good for you. Apparently, it is "[r]ich in vitamin A, iron and fiber, ... promotes healthy eyesight, oxygen usage, energy production and digestion." Good to know!